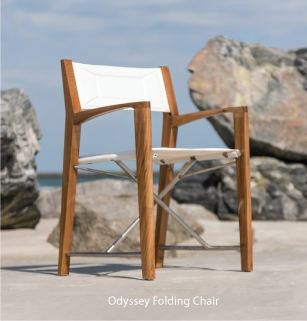 Teak Folding Dining Sets from Westminster Teak are known worldwide for their folding ability and compact storage on yachts, boats, ships, small patios and balconies. Optional Finishes are available. Each teak folding dining set is suitable for indoor, outdoor, residential, commercial and marine use. Quality Rated "Best Overall" by the Wall Street Journal.